When confronted with a challenge, the committed heart will search for a solution. The undecided heart searches for an escape. Over the past few years, I have talked about classrooms and schools using science, art and heart to reach each and every student. More than ever before, I believe this to be true. In fact, it seems to be true that a combination of science, art and heart are needed in most areas of life if we are to be successful. The artistry of a well-taught lesson cannot be fully explained, but we marvel when we experience it. An artfully taught class captures our senses and engages our minds. It includes elements and principles such as space, texture, value, balance, proportion, emphasis, movement, rhythm and harmony. It is a creative process that includes skill and imagination. No two teachers teach in exactly the same way, but all effective teachers and school leaders use these elements to create student-centered classrooms and schools. I think of science as being a more intellectual, systemic and practical activity that progresses through observation and experimentation. In the past several decades, there has been incredible progress in the area of mind and brain sciences. We understand to a greater degree each year how individuals learn, what affects memory, and how learning occurs in classrooms. The growing body of knowledge in these areas is vital and informs the practices and techniques that we use to ensure student learning. By using understandings and elements of art and science, we can help our students thrive and grow. Our students can not only gain knowledge and deep understanding, but also learn to apply that knowledge to abstract concepts to solve real-world problems. Through this, our students can take advantage of opportunities and possibilities. Science and art are critical in the education of our children. But, heart is also essential. We often hear someone say, “He has heart. She is full of heart. They put their whole heart into it.” When used this way, heart means caring, compassion, empathy and concern; it also means courage, commitment and will. Heart is about relationships—the ones we build so that everyone feels safe, welcome and respected in their school communities.If we are to reach every student, we must put our hearts into the effort. We must be committed to the idea that all means all. In every classroom, every school building and in central services, we must feel a level of urgency to the commitment that we make to all students and their families. Our commitment must also extend to elected officials and residents—both those with and without children in our schools. These thousands of individuals and families provide the resources to operate this school system. We are stewards of these resources and must use them in the most effective ways to ensure that our students graduate college- and career-ready. Montgomery County Public Schools has a long history of high levels of success for many students, but not all. And the student populations that have not reached those high levels have been disproportionately students of all races who live in poverty, as well as African-American and Hispanic students both in poverty and not. 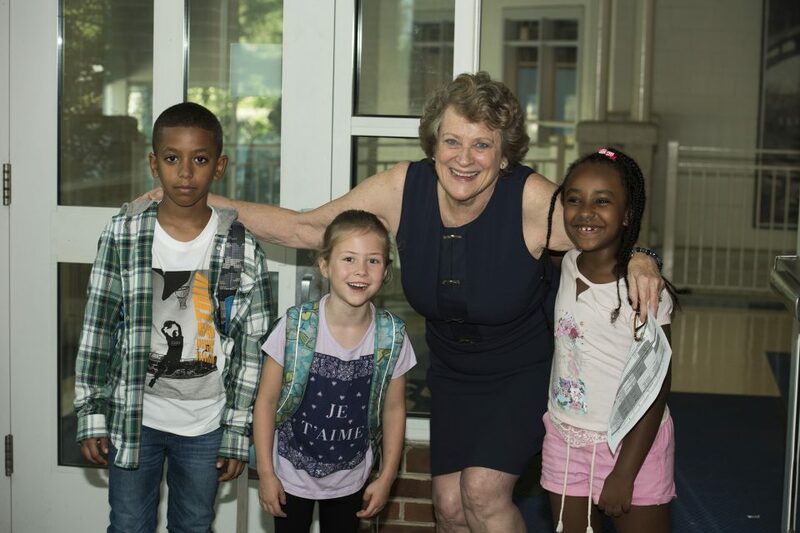 Montgomery County Public Schools is making a renewed commitment to all of our students to ensure that we maintain the high levels of learning and opportunities for the many, and increase it for those student populations who have not fully experienced it in the past. This job is not easy, but, as author Andy Andrews reminds us, we must have committed hearts that search for solutions. Let us continue to work tirelessly to protect and care for our students and to ensure that each one learns and thrives. Let’s approach our jobs with science, art and heart. Let’s look for solutions to the most difficult challenges. As we all know, learning doesn’t stop when you become an adult. I am constantly learning about new ideas and exploring new perspectives. I do this through books, articles and podcasts. Each blog, I will share a few of the most interesting ones with you. Some have made me ask questions, some have irritated me; others have made me smile or frown. I hope they make you think critically and open doors to new information and ideas.